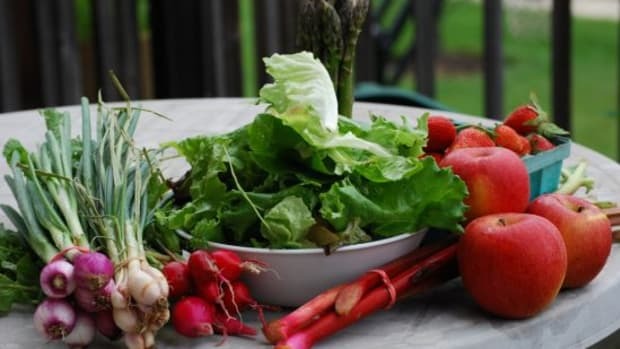 Spring is here and it’s time to take in all that the warm(er) weather season has to offer, including the spring vegetables in full bloom and ready for your culinary touch. Learn why the select fruits and veggies are so good for you and how you can create delicious dishes out of them. 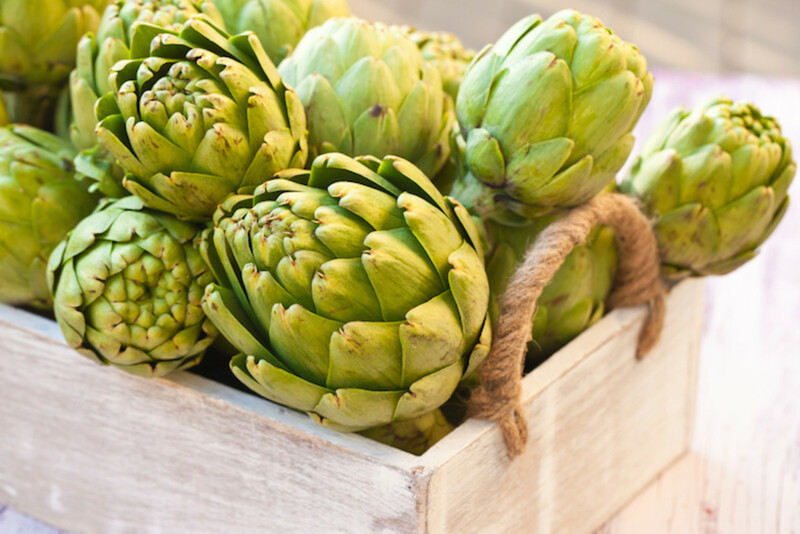 Don’t let their tough exterior fool you – when prepared correctly, artichokes reveal a soft, tender flesh that offers a host of health benefits. The Mediterranean native veggie is a good source of folate, dietary fiber, vitamins C and K, and antioxidants. Jump right into artichokes this season with this spinach and artichoke dip or a stuffed artichokes recipe. Arugula is part of the brassica family alongside kale and cauliflower. Originally cultivated in the Mediterranean region, arugula has a pungent, slightly bitter taste that works well as a palate cleanser and a zesty counterpart to salad, pesto, soup, and pizza. 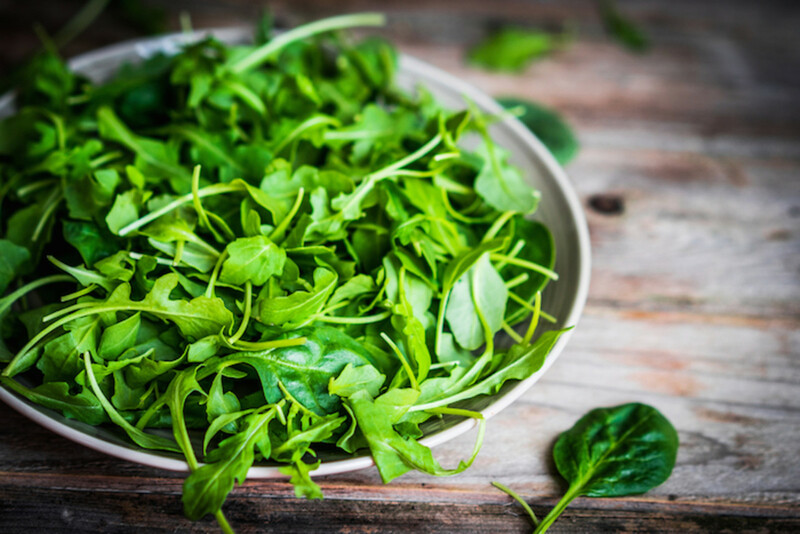 With just 25 calories in 100 grams of fresh arugula, the green leaves certainly pack a bigger health punch. Two cups of arugula provide 20 percent of the RDA of vitamin A, more than 50 percent of the RDA of vitamin K, and 8 percent of the RDA of each vitamin C, folate, and calcium. Arugula is linked to reducing the risk of cancer related to the skin, lungs, and mouth. It has also shown to have digestive and blood cleansing benefits. Get ready for bikini season with this immune-boosting detox soup recipe or enjoy the green in a spelt salad alongside spinach and pickled onions. 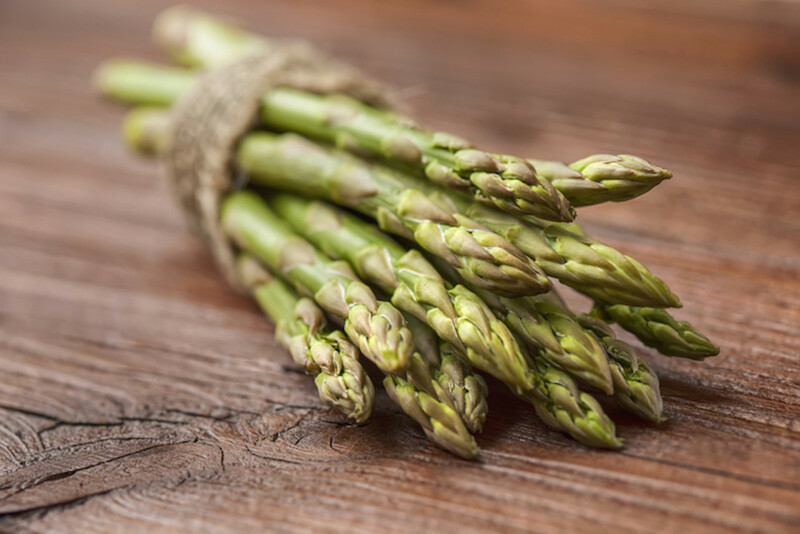 A great source of fiber, folate, chromium, and vitamins A, C, E, and K, asparagus is especially rich in antioxidants, which neutralize cell-damaging free radicals. 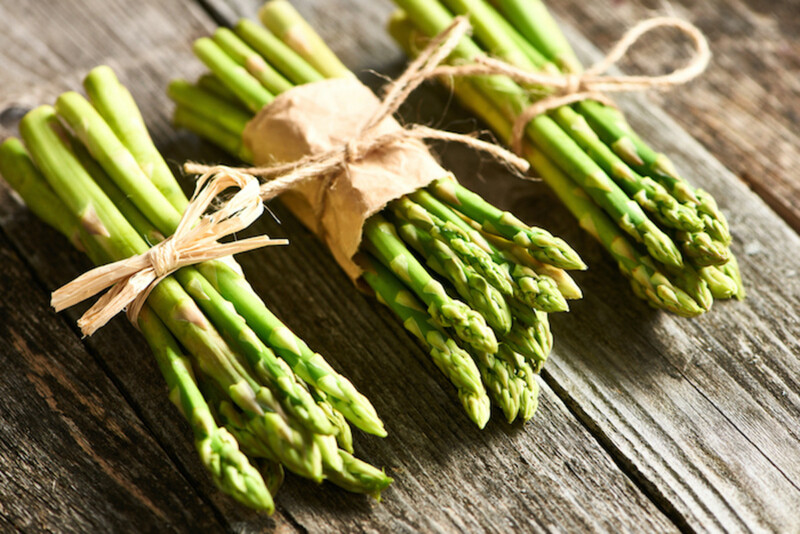 Asparagus may also help prevent cancer with its compound glutathione, which breaks down carcinogens. The best way to enjoy asparagus is when it’s grilled. Try out this grilled asparagus recipe with lemon white wine fettuccine for the ultimate meal! And don’t forget to try out green asparagus’s oft-underappreciated cousin white asparagus, which has a texture and flavor profile that is all its own. 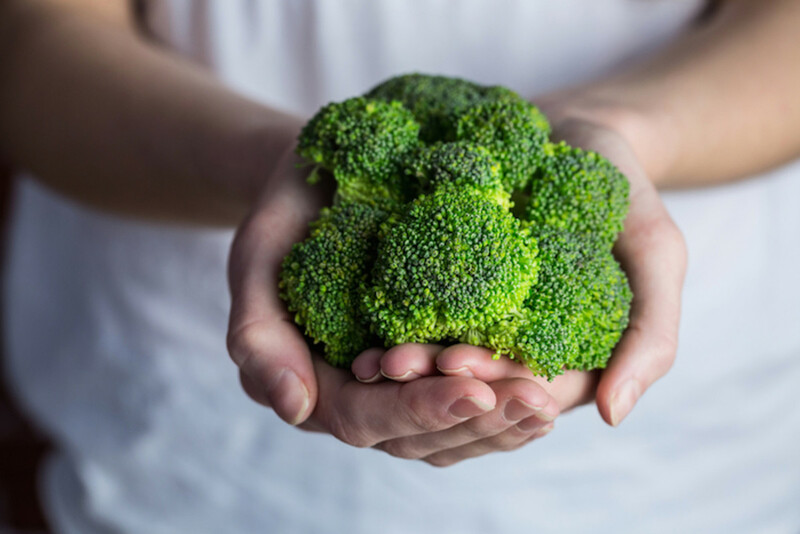 One cup of cooked broccoli provides 245 percent of the RDA of vitamin K and 135 percent of the RDA of vitamin C. It is also loaded with chromium, folate, fiber, pantothenic acid, vitamin B6, vitamin E, phosphorus, manganese, choline, vitamin B2, potassium, and copper, among many other nutrients! With a nutritional profile like that, it’s hard to resist the cruciferous vegetable. Enjoy broccoli in soup, salad, stew, and pasta recipes. It never disappoints. Grapefruit is the tarter cousin of an orange. It isn’t as sweet, but it brings its own kind of A-game to the dietary table. 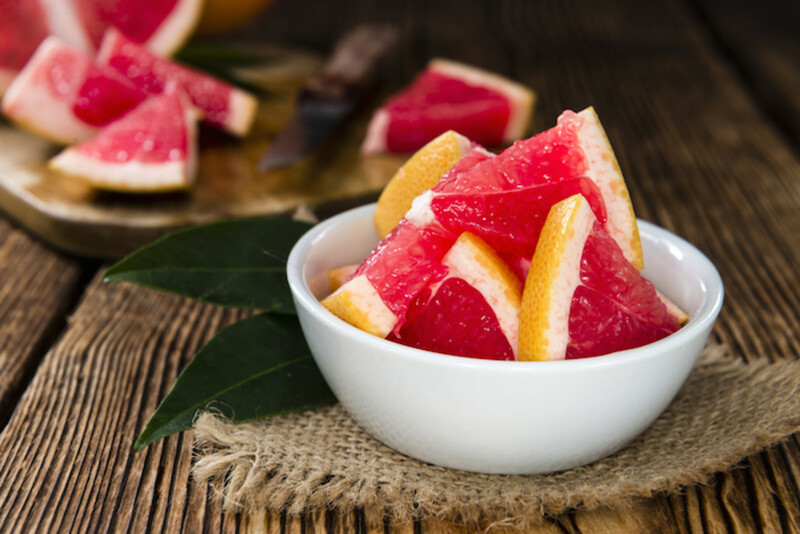 Full of fiber, potassium, lycopene, vitamin C, and choline, grapefruit help maintains a healthy heart and has a positive influence on blood lipid levels. The pinkish flesh is a delight to the senses and is powerful in in its implications. Researchers have witnesses its ability to fight cancer, help burn fat, and balance blood sugar levels. Enjoy this superfood in a fresh California avocado grapefruit salad, in a tonic-like grapefruit ginger juice, or all on its own! Packed with more vitamin C than an equal serving of orange, the kiwifruit is quite the surprising stunner. It has a brown furry exterior that, when slice, reveals a bright green flesh speckled with tiny edible black seeds. One kiwi contains 85 percent of the RDA of vitamin C, 31 percent of the RDA of vitamin K, 10 percent of the RDA of copper, and a good amount of fiber, vitamin E, potassium, manganese, and folate. 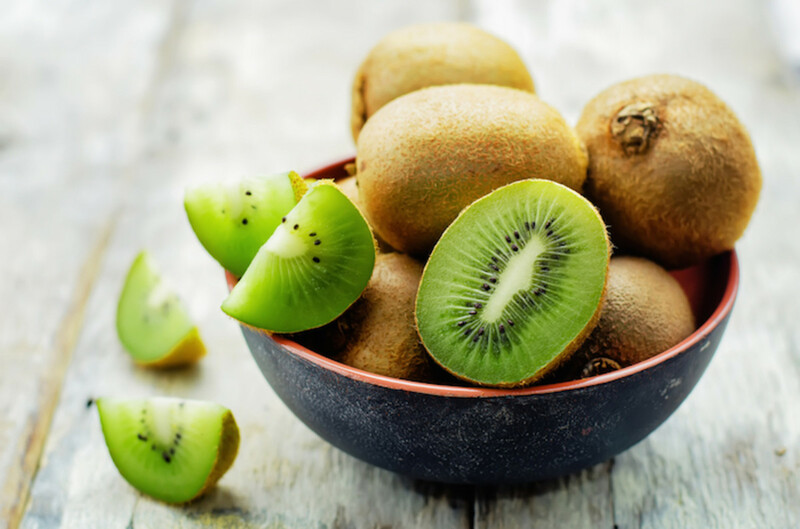 Eat kiwi on its own for the ultimate delight, but you can always slice the fruit into a salad or use it as a complement to a fresh juice or smoothie. Rhubarb originated in Siberia but is popular throughout Europe and North America. It is incredibly sour, but it is often cooked and sweetened in order to cut the sourness. 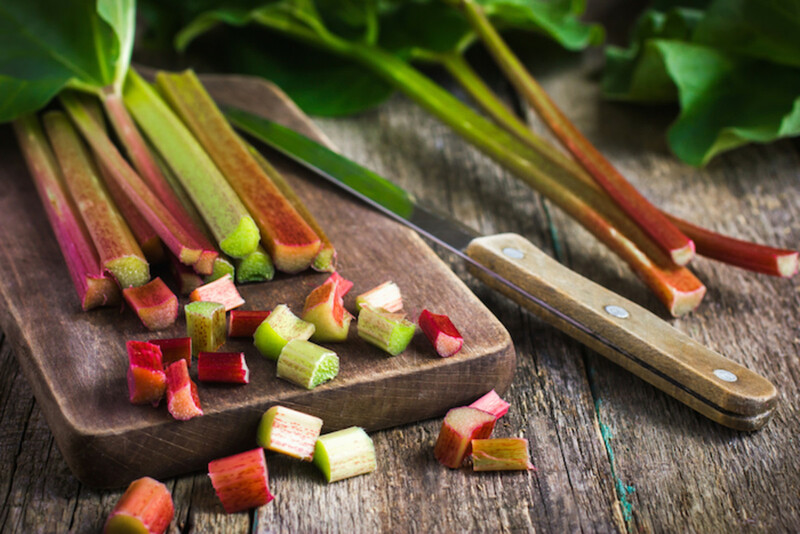 Rhubarb is overlooked as a dietary staple, but when it is in season, you should definitely make it a common feature in your meals. 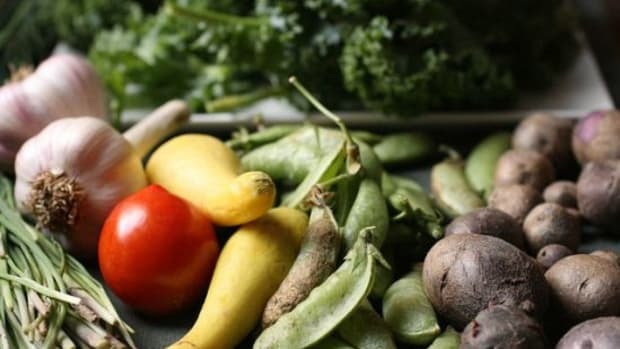 The vegetable is rich in vitamins K and C as well a folate, riboflavin, niacin, B-vitamins, pantothenic acid, iron, potassium, manganese, and phosphorus. One cup of cooked rhubarb contains as much calcium as does one cup of milk. Sure, you could stick to the classic rhubarb pie, but these rhubarb recipes introduce a world unbeknownst to the rhubarb newcomer. 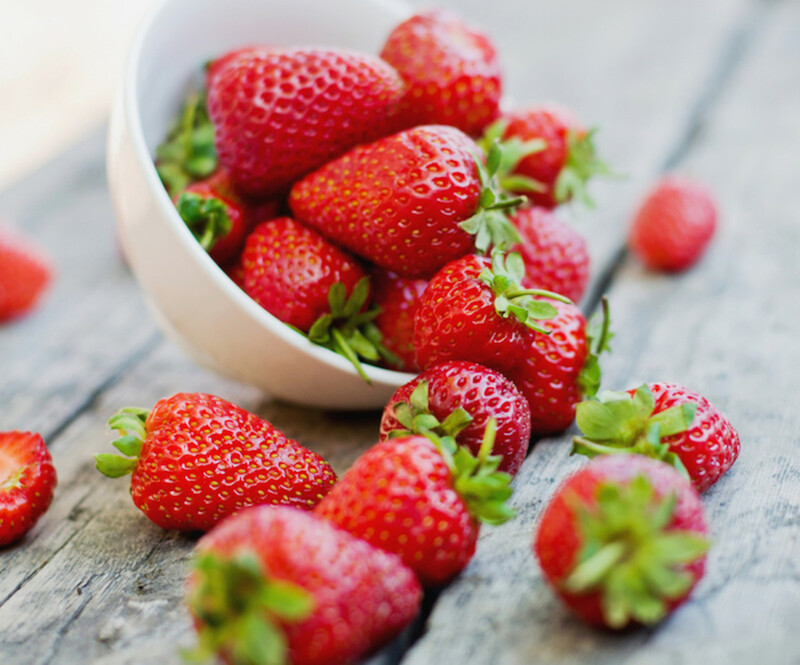 Strawberry season is my favorite, simply because they taste so much better – rich in nutrients and full of the natural juicy sweetness off-season strawberries simply can’t fake. 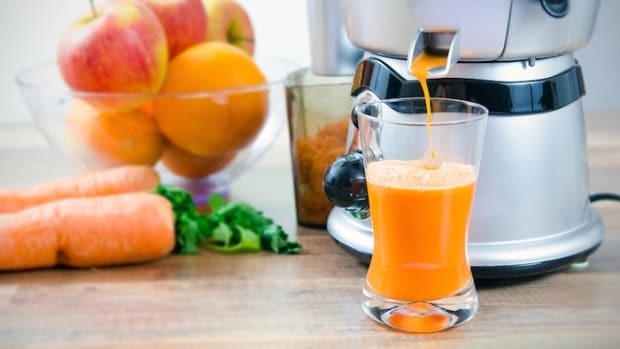 They are an incredible source of vitamin C – 1 cup offers 141 percent of the RDA. Strawberries are fit for so many dishes. They are great in all kinds of desserts, as well as in juices, smoothies, salads, and dressings. Try out this strawberry hibiscus juice recipe and this decadent strawberry cake recipe for good measure. 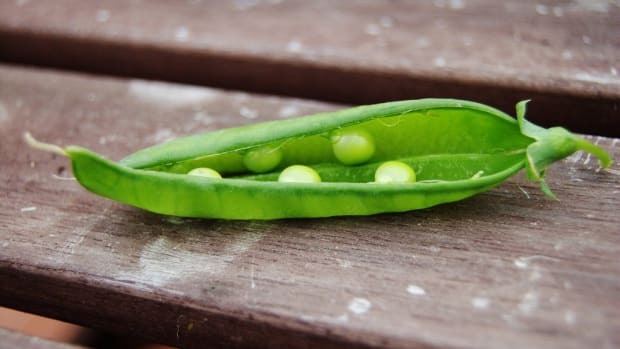 Nothing screams spring quite like peas in a pod! 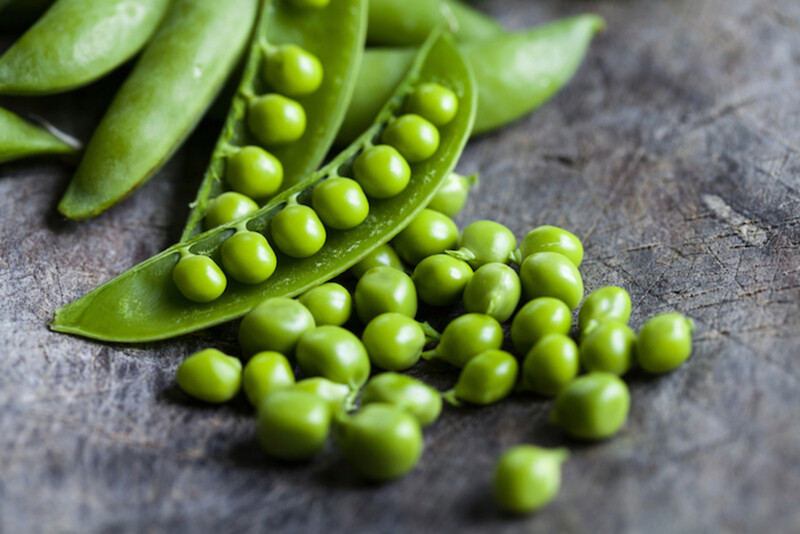 Sweet and starchy in taste, sugar snap peas are typically sold in frozen and canned form. However, if you can get your hands on the fresh stuff, please do! 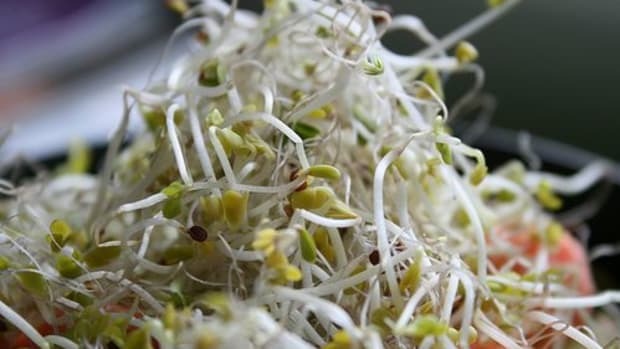 They are healthier as such, retaining their high vitamin C, protein, antioxidants, and essential minerals content. Because of their subtle sweetness, peas can bridge the gap between sweet and savory dishes and work well in either, or both at the same time. They are a natural complement to salads and pastas, and they blend to a creamy finish, making them great in sauces, soups, and dips. Try your hand at these four pea recipes for the ultimately introduction. You may eat tomatoes all year round, but the tomato is a fruit that is at its peak it taste and tenderness during the spring season. Tomato plays a role in preventing cancer, diabetes, and heart disease. Lycopene, an antioxidant found in tomatoes, has been linked to the prevention of prostate cancer. Lycopene is also essential in eye health. 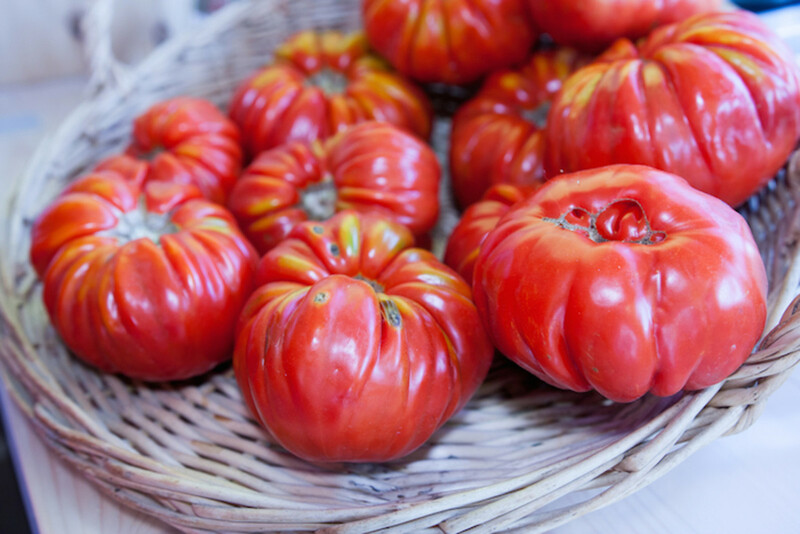 You may know plenty of ways to add tomatoes into your diet, but what about the ways you don’t? GO beyond the ordinary with these 5 ways to use tomatoes. 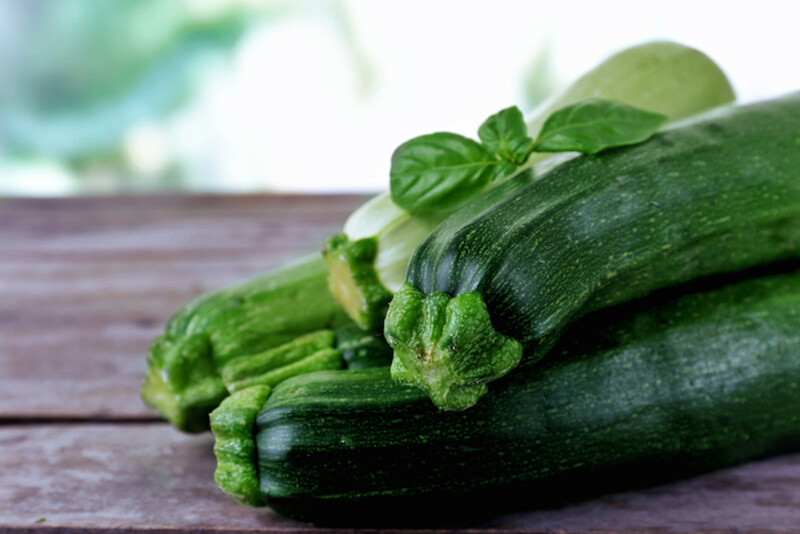 Zucchini is squash that is very low in calories – just 19 calories per cup of slice zucchini – and very rich in potassium, fiber, iron, magnesium, and vitamins A, C, and B6. What I love about zucchinis is their versatility. 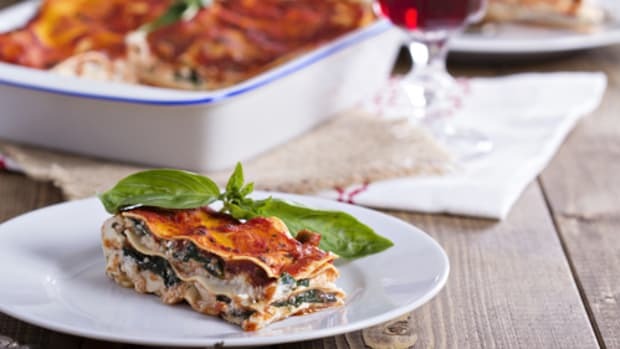 They make for a great alternative to lasagna and spaghetti noodles, depending on the occasion. They are also delicious on their own, cooked lightly (or to death) with a bit of butter and salt. They also, oddly, do well in bread and baked desserts, despite their vegetable status. I personally like to enjoy zucchini in a casserole, covered in cheese and other add-ins, like in this cheesy vegetable pie with corn and zucchini.